I know.. we all do it. If you are in I.T., users can be frustrating. They often fail to do even the most basic assessment of a problem they are having. They do not look carefully at the messages and prompts they are given when using applications. They look at you like you have a third eye when you try to explain the why of a given technical challenge. And we go back to our desks and share with our peers the horror stories of the “stupid users.” We laugh! We mock! We express our intellectual/technical superiority. Okay.. granted, I don’t know you personally and maybe you’ve never done this. But I’ve been in enough I.T. departments, server room’s, and conferences to experience this first hand, and have taken part at times. Here’s the issue… we’re wrong! The user is the purpose not the problem! Tape that up next to your PC! I relate this story in some of my presentations and have blogged about it elsewhere but it deserve a re-mention. I like coffee – although I’ve cut down my consumption dramatically the past two years! 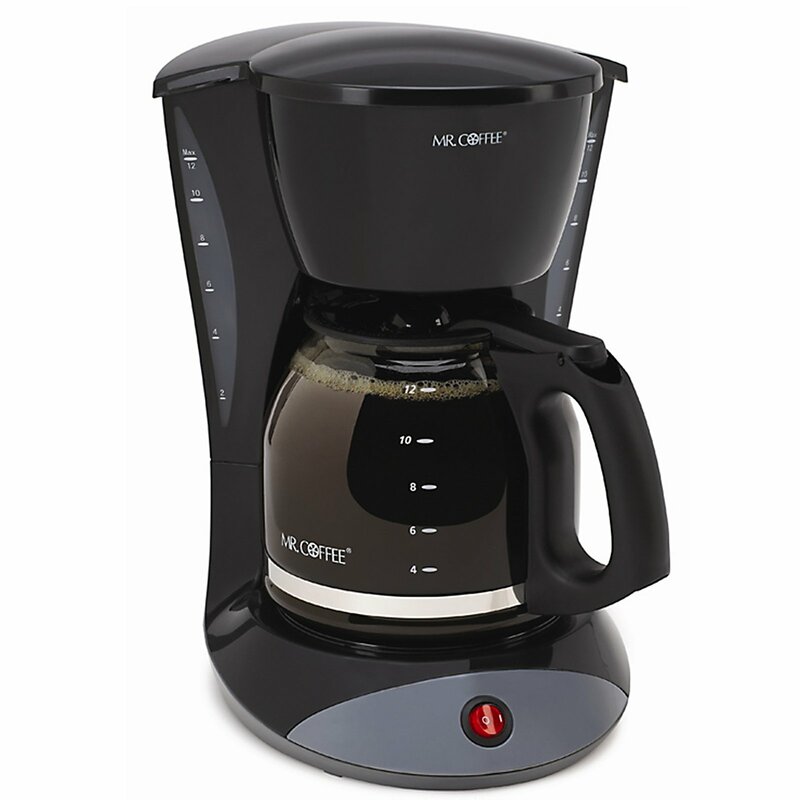 I’ve been on the quest for the “perfect” coffee maker. I’ve yet to find it. In fact, I am currently using a cheap – no timer/clock, no auto-shutoff, etc maker. Why? Because I’ve spent $150+ on a maker and still cannot get what I want, so I may as well have a cheap maker. The coffee is the same. I’ve tried dozens of coffee makers and I won’t go through my rigorous requirements but suffice to say, with more than 400 years of mankind making coffee makers, we should have this down. FYI: and Keurig is not the answer – the coffee is horrible. One day I’d had enough, contacted Mr. Coffee’s parent company. But I did not call customer service. I called corporate and ultimately got to a product development manager. I explained the challenges I had with every model I’ve purchased, expressed that I am not the only one, and asked her why these design issues had not been solved. Her answer taught me A LOT about Information Technology. No really.. wait for it.. wait for it. I had become the “stupid user!” She had pulled a “computer pro” on me. * I fully admit that I might be too stupid to use a coffee maker correctly. I certainly don’t clean mine that often. But I don’t believe that to be true. I’m reasonably smart! In Concept Over Process, I teach that computer system technology has two roles in an organization: Information and Automation. Information for analysis and decision support. The information is only as useful as the decisions it helps an organization make. Automation of the delivery of a product or service. You see, our technical skills are only as useful as the effectiveness that we deliver and achieve those two roles. By itself, optimized networks, servers, and your amazing coding ability mean almost nothing. I.T. is NOT about I.T. I.T. is about (or should be about) the business. And before I have a thousand technologists carrying pitchforks and torches who believe I am dismissing your importance… STOP!!! I’m making a point. You are important. And what makes you important is that, if you understand the above role, you have a chance to add amazing value and be the hero. Understanding and adopting a “we are a service organization” and raising the importance of the other departments you serve has the ultimate effect of raising your esteem in their eyes. You see, when you make them great, you become great! In light of this, here are 4 truths to a better perspective and superior I.T. It is NOT up to management or users to understand you. The adverse is true. You must understand them. I don’t care about how the cook prepares my meal. I don’t need to understand his utensils. I want good food and I want it to be safe! The particulars are up to them. Your technical talent just isn’t that impressive. All that training, practice, and intellect.. not worth a whole hell of a lot if you are not making users, departments, and the company more effective at MAKING MONEY!! Read “The Goal” by Eliyahu Goldratt. It’s about manufacturing, written as a novel (not a great novel but readable), but it’s really about I.T. I promise!! You should be working to automate your job away. It’s hard to deliver great solutions to departments and users if you are in the trenches doing the manual dirty-work on systems. In order to have the time to immerse yourself in a business unit and with the users you serve, you need to automate as much of the infrastructure as possible. Do you care about your business? The departments? Your organization’s growth and revenue generation? Do you enjoy getting into the strategic planning for it’s success! Do you get a “high” when a user is “thrilled” with the power and ease of a tool you deliver to them? If not.. you probably need to find another job. The user is the purpose not the problem! It’s important to remember that! Posted in career development, Leadership and tagged customer service.